Traditionally wallets were meant for cash only and throughout the years they remained pretty much the same. Gradually, the standard concept of a wallet has evolved along with today’s methods of paying. In today’s modern world, consumers keep most of their monetary assets in an electronic form, accessing them through credit or debit cards. On top of everything, there is a numerous amount of other cards people carry with them, such as reward and discount cards, membership and gift cards. The majority of us, are used to carrying around big, bulky leather wallets, which are at times uncomfortable, heavy and occupy a lot of space. 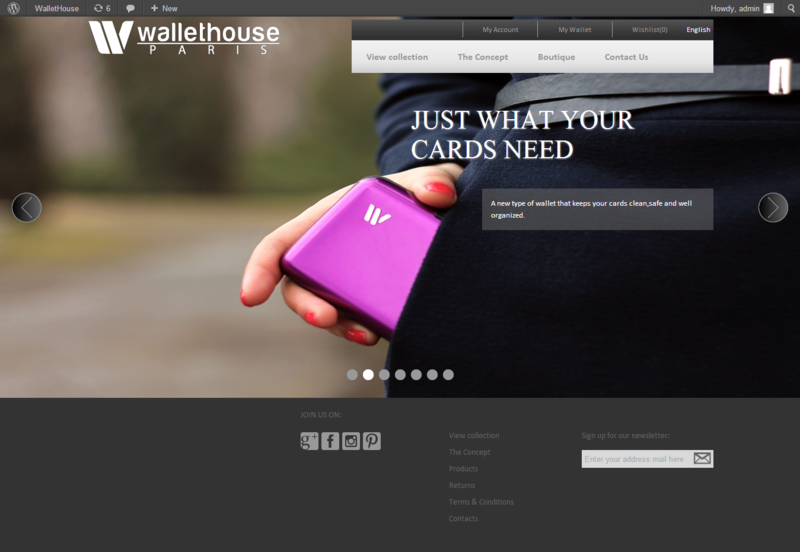 And because we believe that the majority of people love the idea of evolving along with today’s fast changing world, and be a part of an original concept of transformation, to something more stylish, functional and elegant, we present to you the new “WalletHouse” – the aluminum wallet, a unique and essential accessory for the modern world. It can be carried in your pocket, without the burden of having a big and heavy purse around, and with the convenience of quick access to all your plastic cards. It is a very compact and functional way of carrying your bank cards, checks, cash and other notes with you.